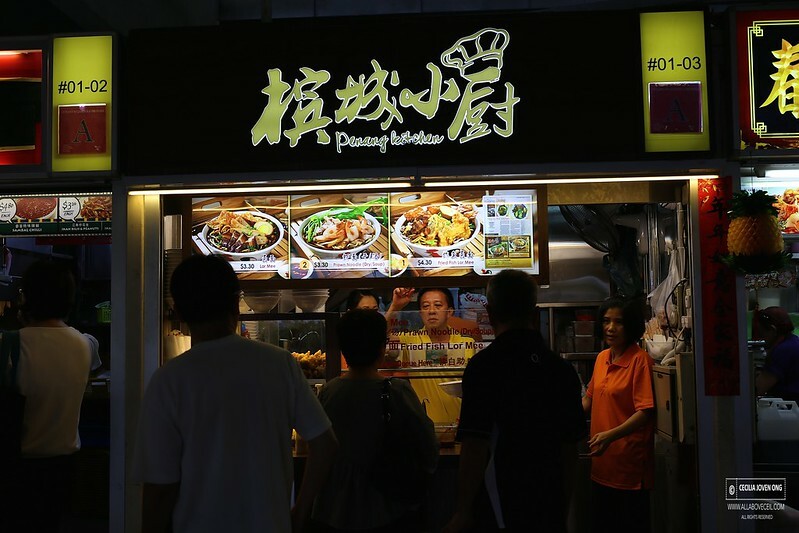 It was during dinner time when i was there, the 3 stalls serving Bak Chor Mee have got quite a queue particularly the 2 stalls that are next to each other right in the front row. After some thoughts, i decided to try the new stall that took over the Yong Tau Foo stall. 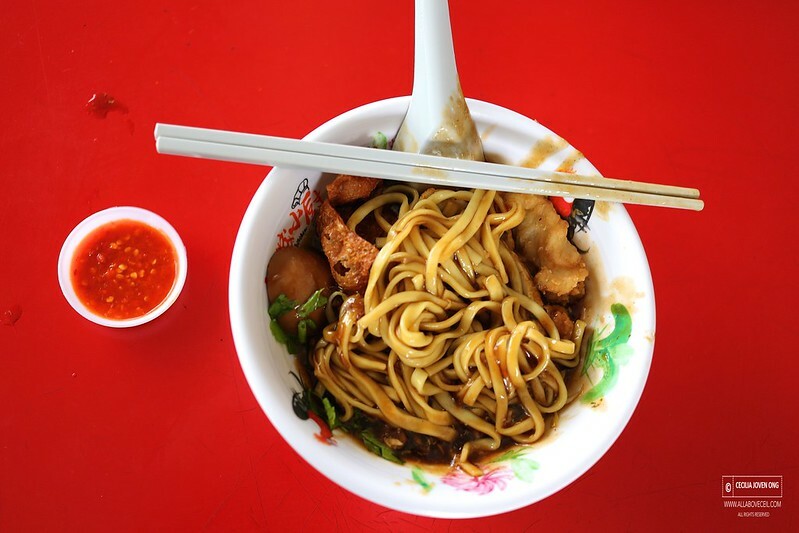 This stall is serving Penang style Lor Mee and Prawn Mee. I joined in the queue and waited for just a short while to order. While in the queue, i took out my camera to take a picture of the stall and it was spotted by the person-in-charge. He smiled when he asked for my order then he asked, 'You're taking pictures ah?' I nodded. 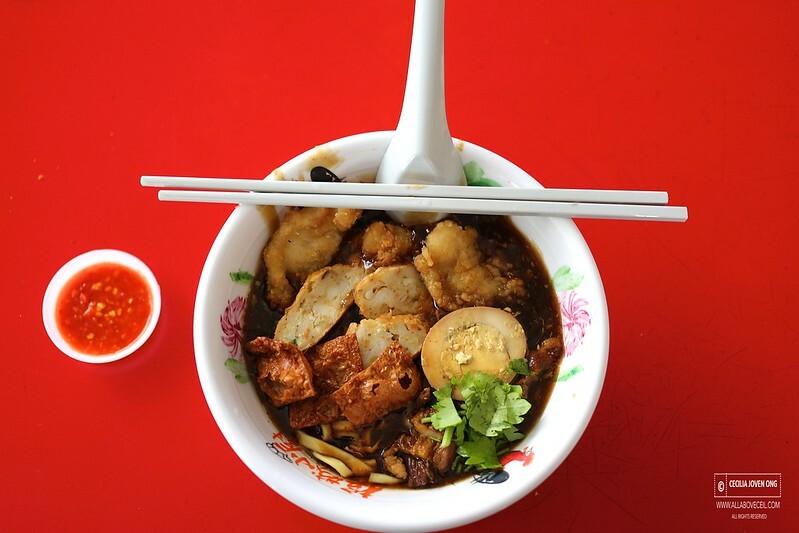 The standrad Lor Mee is $3.30 and $4.30 if added with fried fish nuggets, the prawn mee is $3.30. While waiting for my Lor Mee, i overheard that gentleman telling the other lady in charge of cooking to be mindful when presenting my bowl of Lor Mee as i wanting to take pictures of it. I appreciate such a thought. Though it did not woo-ed me when i took the first mouthful but it was a decent bowl of Lor Mee that i would likely to eat it again if i happen to be in this food centre again. It was a right decision that i did not add the chilli into the Lor Mee but separated it in a saucer. 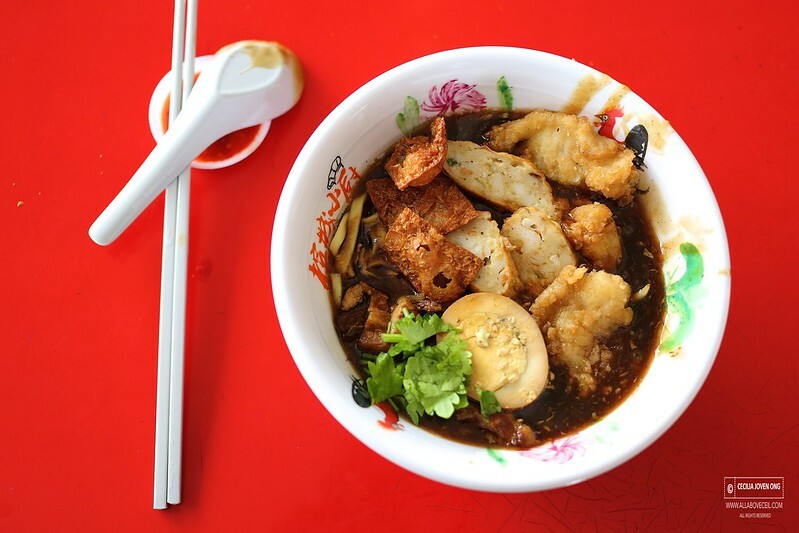 The level of spiciness is quite intense and added flavor to the Lor Mee. The noodle was cooked just right to serve with ingredients like braised meat, ngor hiang, fishcake, fried cracker and fried fish nuggets. The braised sauce was not as not as thick and sticky as expected but rather flavorful. This was a decent bowl of Lor Mee nonetheless and definitely worth a try if you are here and did not want to queue for one of those stalls for Bak Chor Mee. I am hoping this new stall could sustain its business and be around for a while as i will like to try their Prawn Mee when i visit again.